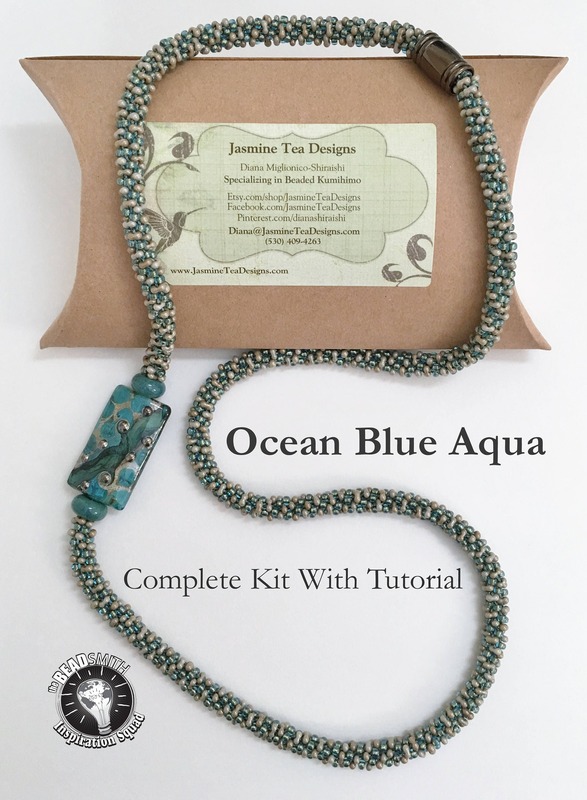 'Ocean Blue Aqua' ~ is a 32 inch fully beaded kumihimo asymmetric necklace and features a handcrafted artisan lamp worked focal bead made from Venetian glass. 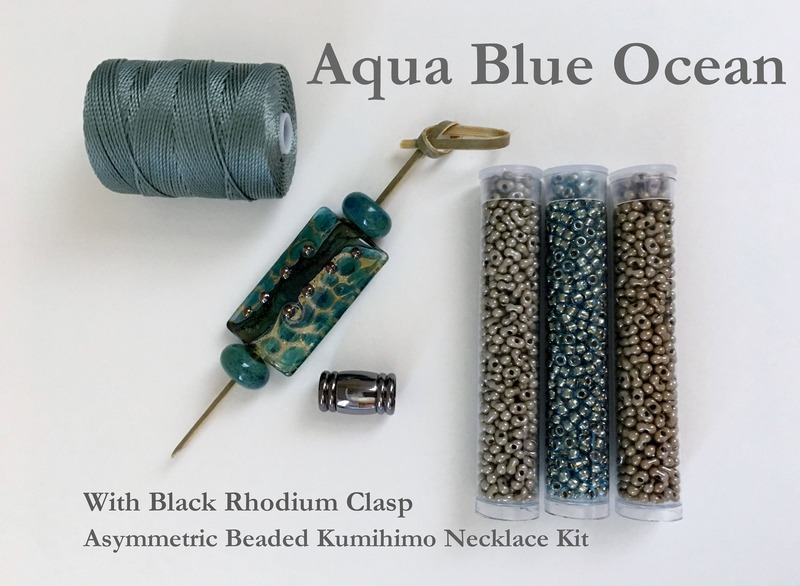 Beautiful shimmering aqua blue crystal seed beads and two shades of peanut beads where used to create the texture for this beaded kumihimo braid. Aqua blue porcelain spacer beads accent the kalera shaped focal bead. Kit is just as described. Everything well organized, labeled and instructions very clearly written. Can't wait to make this project!